1. Pay attention to soil status when planting. Given all of the moisture lately, lots of beds will be difficult to plant until they dry out a bit. Clay soils, common along the front range will be very difficult to work – the soil will clump and if left in clumps will dry rock hard. Raised beds should drain more quickly. 2. Continue planting hardy and semi-hardy crops such as lettuces, carrots, beets, peas, etc. in succession until the middle of May. 3. Research your average last frost date using this link. Once you know that, you can begin scheduling classroom planting activities for warm season crops. Look at the longer range forecasts for the week of and hope for warm temps. Tender or warm season crops are ones such as tomatoes, corn, beans, eggplant, peppers, melons and cucumbers. 4. When planting heavy feeders like tomatoes, add, as directed, a balanced, organic fertilizer to the planting hole. Plant tomatoes deeply, up to the first set of leaves. The root hairs along the stem will develop into roots, forming a strong water/nutrient transport system. 5. Organize a system of summer maintenance for your garden. Using Sign Up Genius is one option. 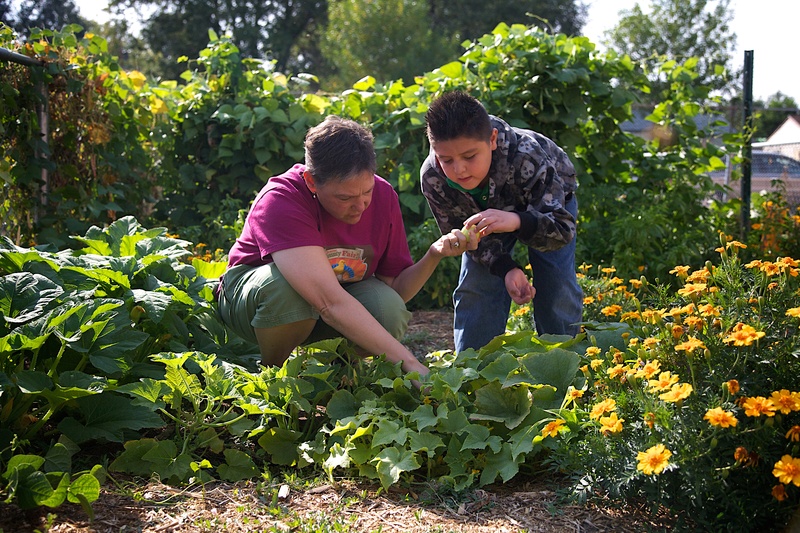 Encourage families to be part of this communal effort called your school garden. For a large-ish garden, 2-3 families per week is necessary. 6. Contact the facilities staff at your school to see if they have an idea of when the irrigation will be turned on for the season.